It seems like everything comes with an expiration date nowadays. From Coke to honey, I can’t pick up an item in a grocery store without seeing a “sell by” date. But I’m often told that many goods, like canned goods or rice, last much longer than their expiration dates. Mechanics liens and constructions liens also come with expiration dates. Every state has a statutes that says your lien is good until ________ fill in the date. If you don’t get paid by that date, or if you don’t discharge your lien by that date, the lien will no longer be any good. Why does a mechanics lien expire? 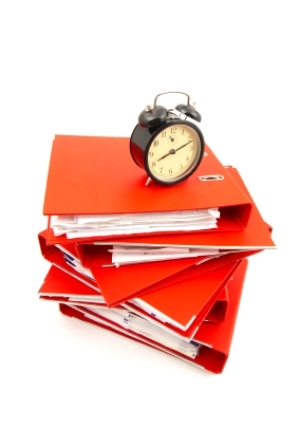 Construction liens and mechanics liens all expire after some time. In most states, the expiration deadline is a year. In other states, the expiration date for a mechanics lien can be as little as four months. If you have worked on a project and have not been paid, but you placed a lien on the property to ensure that you have safety and security in that property, why would the states make your lien invalid due to the owner not paying you for a longer period of time? Like all laws in different states, the reasoning varies. For the most part, though, the reason for allowing construction liens to expire is that these liens are, unlike a mortgage, unilaterally filed. By way of example, when a mortgage is place on your home, the bank needs to sign the mortgage, but so do you. The mortgage has a term (i.e. 30 years for a standard mortgage). Because both parties sign a mortgage, it is a type of voluntary lien, one which both parties agree should be filed against the property. If the owner of the property defaults, then the mortgage company has the right to foreclose. In the same way that the mortgage is voluntary, a mechanics lien is involuntary. Mechanics liens are placed against a property due to non-payment, and are signed only by the party who is placing the lien on the property. The mechanics lien is not signed by the owner of the property, and in most cases it would be difficult if not impossible to obtain the owner’s signature. Since the owner is already technically in default prior to the construction lien being filed, the lien is involuntary – as in not agreed to by the owner of the property. Because of the involuntary nature of the mechanics lien, in order to ensure that there is some measure of court oversight, the liens come with an expiration date. The expiration date provides limited time from the date the lien is filed (or in some states the date of last work or furnishing of materials) for the property owner and the lienor to resolve the lien. Is there a way to keep the construction lien in effect for a longer period of time? Asked another way, is there a way to extend the lien claim? The answer is yes. A couple of states, like New York, permit lien extensions simply by filing a request for an extension with the county clerk. Most states, however, do not permit such extensions. So what do you do then? All states have provisions that work to keep the lien in effect, but require the lienor to do more than just file the lien with the clerk. The most common way to keep the mechanics lien in effect and avoid the lien expiration date is to file a lawsuit for foreclosure. The lawsuit for foreclosure must be filed prior to the date the lien is set to expire, and in many states filings of a “lis pendens” giving notice that a lawsuit was filed must be filed with the county clerk’s office. Once the foreclosure lawsuit is filed, and the lis pendens is properly filed when required, the lien’s shelf life extends until the end of the lawsuit.